The adoption of electronic health records (EHRs) has increased substantially in hospitals and clinician offices in large part due to the “meaningful use” program of the Health Information Technology for Clinical and Economic Health (HITECH) Act. The motivation for increasing EHR use in the HITECH Act was supported by evidence-based interventions for known significant problems in healthcare. In spite of widespread adoption, EHRs have become a significant burden to physicians in terms of time and dissatisfaction with practice. This raises a question as to why EHR interventions have been difficult to generalize across the health care system, despite evidence that they contribute to addressing major challenges in health care. EHR interventions address known problems in health care of patient safety, quality of care, cost, and accessibility of information. These problems were identified a decade or two ago but still persist. Patient safety problems due to medical errors were brought to light with the publication of the Institute of Medicine report, To Err is Human, with recent analyses indicating medical errors are still a problem and may be underestimated. Deficiencies in the quality of medical care delivered was identified about a decade and a half ago and continues to be a problem. The excess cost of care in the US has been a persistent challenge and continues to the present. A final problem motivating the use of EHRs has been access to patient information that is known to exist but is inaccessible, with access stymied more recently by “information blocking”. These problems motivated initial research on the value of EHRs. One early study found that display of charges during order entry resulted in a 12.7% decrease in total charges and 0.9 days shorter length of stay. Another study found that computerized provider order entry (CPOE) led to nonintercepted serious medication errors decreasing by 55%, from 10.7 events per 1000 patient-days to 4.86 events, with preventable ADEs reduced by 17%. Additional studies of CPOE showed a reduction in redundant laboratory tests and improved prescribing behavior of equally efficacious but less costly medications. Another analysis found that CPOE increased the use of important “corollary orders” by 25%. Additional studies followed from many institutions that were collated in systematic reviews published first in 2006 and then updated in 2009, 2011, and 2014 that built the evidence-based case for EHRs. There were some caveats about the evidence base, such as publication bias and the benefits mostly emanating from “health IT leader” institutions that made investments both in EHRs and the personnel and leadership to use them successfully. Despite the robust evidence base, why have the benefits of EHR adoption failed to generalize now that we have their widespread adoption? There are several reasons, some of which emanate from well-intentioned circumvention of the EHR for other purposes. For example, both institutions and payers (including the US government) view the EHR as a tool and modify prioritization of functions for cost reduction. There is also a desire to use the EHR to collect data for quality measurement – which should be done – but not in ways that add substantial burden to the clinician. Additionally, there are the meaningful use regulations, which were implemented to insure that the substantive government investment in EHRs led to their use in clinically important ways but are now criticized as being a distraction for clinicians and vendors. There are also some less nobly intentioned reasons why the value of EHRs has not generalized. One is “volume-based billing,” or the connection of billing to the volume of documentation, which leads to pernicious documentation practices. Another is financial motivation for revenues of EHR vendors, who may be selling systems that are burdensome to use or not ready for widespread adoption. Much of the early evidence for the benefits of EHRs came from “home grown” systems, most of which have been replaced by commercial EHRs. These commercial EHRs do more than just provide clinical functionality; they redesign the delivery of care, sometimes beneficial but other times not. It thus can take a large expenditure on an EHR infrastructure before any marginal benefit from a particular clinical benefit can be achieved, even if the rationale for that function is evidence-based. Nonetheless, a number of “health IT leader” institutions have sustained successful EHR use and quality of care, such as Kaiser-Permanente, Geisinger, and the Veteran’s Health Administration. These institutions are not only integrated delivery systems but also have substantial expertise in clinical informatics. These qualities enable them to prioritize use of IT in the context of patients and practitioners as well as incorporate known best practices from clinical informatics focused on standards, interoperability, usability, workflow, and user engagement. How, then, do we move forward? We can start by building on the technology foundation, albeit imperfect, that has come about from the HITECH Act. We must focus on translation, aiming to understand how to diversely implement functionality that is highly supported by the evidence while carrying out further research in areas where the evidence is less clear. As with any clinical intervention, we must pay attention to both beneficial and adverse effects, learning from the growing body of knowledge on safe use of EHRs. We must also train and deploy clinician informatics leaders who provide expertise at the intersection of health care and IT. Finally, we also must reflect on the perspective of the larger value of IT in health care settings. Approaches to cost containment, quality measurement, and billing via documentation must be reformulated to leverage the EHR and reduce burden on clinicians. We should focus on issues such as practice and IT system redesign, best practices for the patient-practitioner-computer triad, and practitioner well-being. We must build on value from other uses of EHRs and IT, including patient engagement and support for clinical research. Leadership for these changes must come from leading health care systems, professional associations, academia, and government. 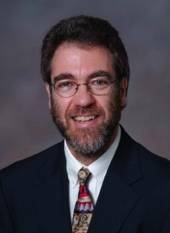 William Hersh, MD is Professor and Chair of the Department of Medical Informatics & Clinical Epidemiology at Oregon Health & Science University. Dr. Hersh also maintains the Informatics Professor blog. I don’t disagree with you that our health records architecture is archaic and that there are systemic reasons why it is not becoming more modern. But that is somewhat tangential to the real improvements in patient outcomes and healthcare delivery that we see in places where EHRs are used in ways supported by the research evidence. Niran, I’m glad you focused on the triad mentioned in the above blog posting. And then of course …. there’s the parent-child-computer relationship which turns out to be a big deal these days and may or may not be closely related to the doctor-patient-computer relationship!!! Similar to the driver-traffic-computer triad – aka texting while driving. I’m sure Dr. Hersh highly approves. Dr. Hersh, what is your objection to organic growth of EHR’s, meaning physicians voluntarily use the EHR’s they find of value and when they find it important in their practice of medicine? When fax machines first arrived physicians didn’t run to buy them until the fax machine proved itself valuable. Simplicity would lead one to respond directly to the question asked, but you didn’t respond seemingly preferring your answer to be cloaked in rhetoric. In other words you have unnamed disagreements with the organic growth of EHR’s and prefer them to be imposed from above. That is a problem. Somebody got his fee-fees hurt. Dr. Niran’s attitude, if you bothered to check her out, is one of complete dedication to her patients, regardless of ability to pay. It speaks volumes that you consider that an embarrassment. You are missing my point. In the places where EHRs have been designed with the physician and improving care of patients in mind, they have been highly successful. My whole point is that these best approaches have not been adopted by other institutions, and this is why we have not achieved that translation. We must also not forget the downsides the paper records that I certainly experienced in my career, of records being lost, illegible, or otherwise not available.